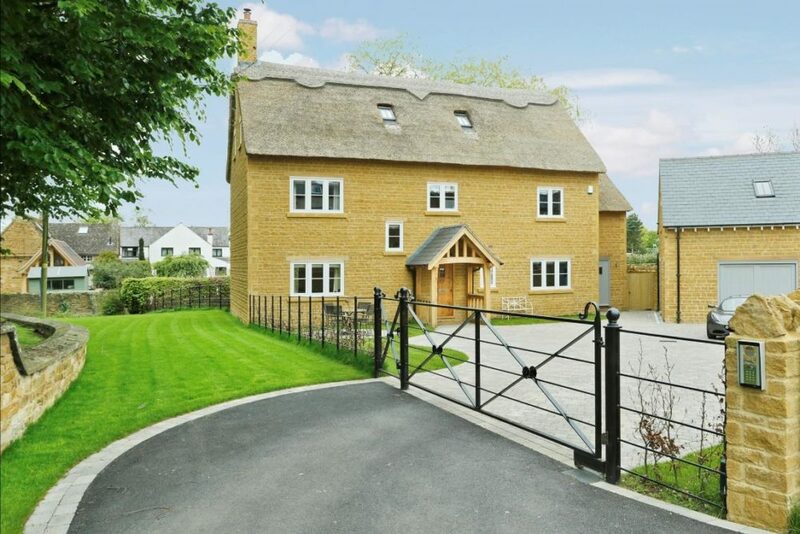 This gorgeous house was built in the village of Medbourne by Langton Homes, a family owned company, who specialise in developing prestigious properties throughout the Midlands. Floors of Stone provide a lot of the flooring for their projects, to create stunning rooms that ooze luxury. In this particular property, the bathrooms were all laid with marble tiles. Marble has been a big trend recently, and shows no sign of slowing down. From the images of this house, it’s easy to see why. The main family bathroom was laid with large, square Bianco White Polished Marble tiles on the floor, with the same tiles in an oblong shape taken half way up the walls. A large, stainless steel free-standing bath is the dominant feature in the room, which, along with the polished tiles, helps bounce light around the room. A large en suite bathroom, off the master bedroom, has the Diana Royal Polished Marble throughout. The warm tones of the marble look great against the rich tones of the vanity top and pristine white bathroom suite. A further en suite used the Silver Shadow Honed Marble on the walls, the perfect complement to the white washed tones of the wooden floor. The long tiles help elongate the room and create a feeling of space. Chrome details and a crisp, white suite help to keep the room looking bright and modern. No expense was spared in this sophisticated, opulent home and the attention to detail can be seen in every room. We love working with local developers here at Floors of Stone, especially when the finished outcome looks like this! For more information or images, please don’t hesitate to contact Sophie ([email protected]), our Marketing Manager Tom ([email protected]) or call us on 01509 234000, we’re more than happy to help.